Writing a book can take years and lots of discipline and sacrifice. So if your friend, family member, or colleague accomplishes this major achievement, you should do something to help them. 2. Buy one copy of the book for yourself and let others know verbally or through Twitter, Facebook, google+, or LinkedIn, that you’ve purchased the book. 3. Buy a second copy of the book to give to away as a gift. 4. Buy a third copy of the book and donate it to your local library or, if it’s intended for children or teens, to the local school library. 5. Read the book and, if possible, read it sooner than later. 6. After you read the book, if you like it, write a review at any of the brick-and-mortar stores with online sites for posting reviews, such as www.powells.com, or at the sites for online retailers like Amazon.com, Barnes and Noble, Indiebound.org, etc. 7. Share about the book with your Facebook friends. If your friend or his/her publisher has a Facebook page, ”like it” and post a comment. 8. Tweet about the book to your followers through your own twitter account (http://www.twitter.com). 9. If you read a tweet by someone else about the book that you think should be shared, retweet that tweet. If you read a tweet and you think that person would like to hear about the book, send a tweet to him or her about it with a link to the author’s or publisher’s website or directly to the book. 10. Throw a publication party for the author, or attend one in your author/friend’s honor. 11. Take the author out to dinner to celebrate. 12. The Southern Independent Booksellers Association (SIBA) has created a unique book promotion program they are calling “Parapalooza!” It is a new YouTube channel that SIBA has created for you to read the parts you like most from your favorite books which, of course, could include your friend’s new title. Here is the address provided by Executive Director Wanda Jewell for you to submit your own short videos to the channel: parapalooza@sibaweb.com. 14. If you are in a reading group, suggest they select the book for an upcoming discussion. 15. To help with “word of mouth,” tell at least one person you work with —or, if you’re in school, tell at least one classmate— something memorable about your friend’s book. Jan Yager, Ph.D. is an author, artist, and publishing executive whose 35 books have been translated into 32 languages including the nonfiction self- help books When Friendship Hurts (Simon & Schuster/Touchstone) and Work Less, More, 2nd edition (Sterling; 2nd edition, Hannacroix Creek Books) and the novel, The Pretty One (Hannacroix Creek). 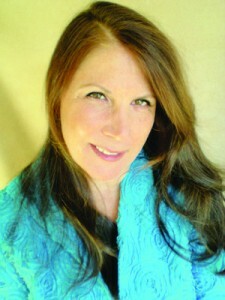 For more on this author, go to: http://www.drjanyager.com or visit the main website for her publishing company: http://www.hannacroixcreekbooks.com. Copyright © 2013 by Jan Yager, Ph.D. All rights reserved.